These owners attained quality of life for their pets beyond what can be achieved using only manufactured drugs for treating symptoms. 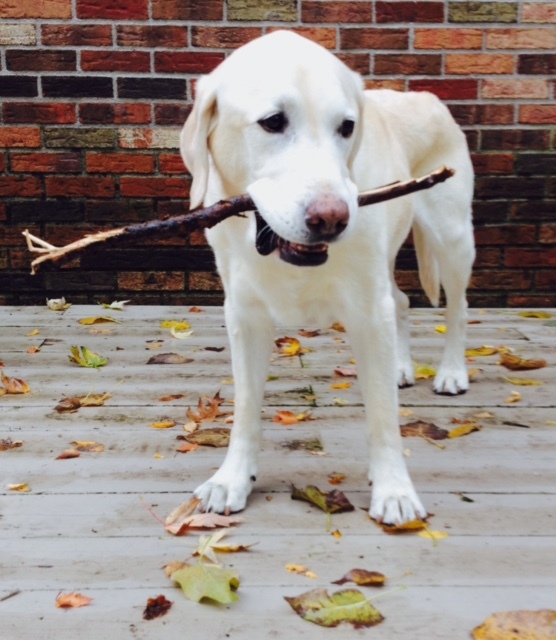 The Holistic Veterinary Center has been a gift for our 12-year-old yellow lab, Yogi! We first brought him to see Dr. Scerba when he was 7, and we were looking at a daunting scenario of potential surgery, with skin grafting & a long period of inactivity as recovery, for a skin growth that had gotten out of control! Between the combination of chiropractic adjustments, acupuncture, diet change, homeopathic cleanse, Chinese herbs & topical ointment, vitamins, and probiotics, the skin growth was completely gone within a number of months, AND he was able to lose about 20 pounds, putting him at a much more optimal Labrador weight! It was as if we had added years to his life! Our happy, laid-back, playful pup was back in action! As other things have come up over these last few years, we have been comforted and reassured by continuing on a holistic route, with all the modalities available to us through the Holistic Veterinary Center. Dr. Scerba, Dr. Nancy and the staff are always very knowledgeable, kind & loving to our dog, and totally invested in his well-being. As a family, we choose to take care of ourselves holistically, first and foremost. We are so grateful to be able to have a holistic provider who offers the same path of care for our beloved pet's health and well-being. We call her Addy which is short for Adirondack—and yes, she’s even climbed some of the High Peaks! A few years ago, Addy was suffering from on-going intestinal issues. Our traditional vet was very caring but just unable to help us solve Addy’s problems which persisted on and off for several long months. Eventually we found Dr. Scerba and worked together using the holistic approach which included changes in diet and in routine meds (for fleas/ticks, heartworm, etc. ), supplementation, and office treatments. Through this process, Dr. Scerba has taught me a lot. Addy has been well for quite some time now and I have the comfort in knowing when problems arise, we have Drs. Scerba and Ying to turn to. A few years ago my Golden girl Rosie was diagnosed with a mast cell tumor on a toe on her back foot. She had surgery to remove the tumor but we knew we didn’t get clean margins due to the area the tumor was in. Shortly after Rosie’s surgery we came to see Doc Scerba for our first visit. After a complete exam and review of food and supplements we were giving Rosie, Doc gave us her recommendations and changes we should make to Rosie’s diet. Never thinking my girl was overweight, she began to lose weight with her new diet. She eventually fell into the recommended weight guidelines for a female Golden Retriever. 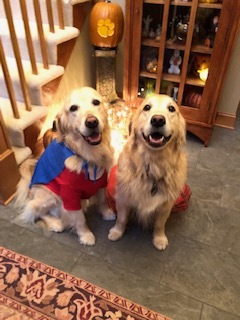 Our other Golden, Oakley, benefited as well as he lost weight too!! Both dogs look amazing!! 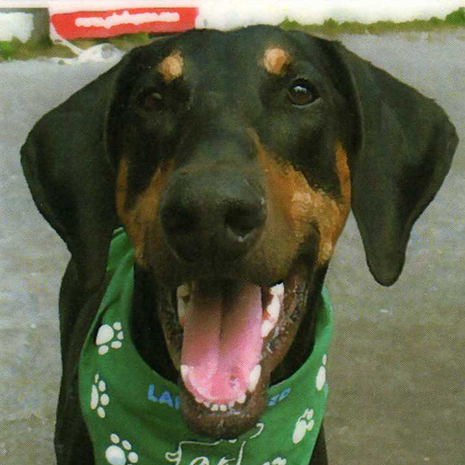 My name is Joan Kelly and I have a wonderful companion named Henry who is a black and tan Doberman. He will be five years old in a few months but about two years ago he had trouble walking and jumping up and down from the car and bed. I took him to our regular veterinarian who referred us to a specialist. He was diagnosed with Wobblers Syndrome which is a problem with spinal cord compression. Putting it simply, his brain can't send messages to his back legs so he "wobbles". Surgery was suggested and then acupuncture and I found Dr. Scerba. She and her staff have made Henry alive again and as playful as a puppy. He gets treatments once a month and also takes herbal medicines that he thinks are treats. He never minds the needles and enjoys going there. The change is fantastic for him and comforting for me that I have found a way to relieve his pain and discomfort. Thank you Dr. Scerba and all of your staff for always being there and welcoming us every month to make Henry's life better. I brought my cat to Dr. Scerba for the first time in July 2009 after three months of Western medical treatment for intestinal giardia. My cat, Skunk Belly, did not show any improvement after repeated rounds of treatment with the commonly prescribed anti-parasitic drugs in addition to single treatments of drugs less frequently used to treat his medical condition. As soon as I walked into the treatment room, the dim lights and calming music gave me a feeling of relaxation and optimism I had not had in the months since his illness started. This was my first introduction to Chinese medicine and Eastern philosophies; I was always skeptical about non-Western treatments. After meeting with and speaking with Dr. Scerba, I felt that this was going to be the place and veterinarian who would successfully treat and cure Skunk Belly. I was right. 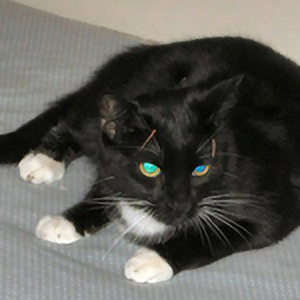 After five acupuncture treatments, herbs and other supportive medications, the little guy turned the corner. His diarrhea stopped!! In addition to that, he has the shiniest coat of (shedless) fur and an activity level that is off the charts (he’s only 18 months old now); he seems to be making up for much of his lost kittenhood. It’s great to have him back! Thanks Dr. Scerba and Sue!!! Finnegan, my 19- year old male cat, is shown receiving his first acupuncture treatment for litter box aversion and low-vitality. I was amazed at how calmly he accepted the needles. He rested in his bed during the 15 minutes of treatment. He even nibbled on some treats! Since his treatments began, he has started playing again with his younger buddy, Dave. His litter box habits have also improved, much to our family's relief. 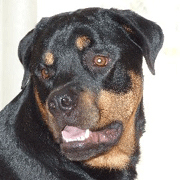 Let me start by saying that Cooper our 16 month old male Rottweiler has to be tranquilized (either via pills at home or a shot at the office) and muzzled before ANY and EVERY regular or emergency vet appointment per the vets request. This has become a living hell for us and we have been through 2 local vets for this reason. Cooper is a good boy but he sometimes can be difficult and most people are afraid of him solely because he is a 120 lb Rottweiler. Actually, he is not a dog to be feared and is actually very loving. About 2 weeks ago we noticed he had a lack of appetite. He would still eat and drink some and he was going to the bathroom as normal. Cooper has a habit of eating EVERYTHING and ANYTHING he can get his mouth on. Early on Monday morning he regained a slight appetite and ate breakfast and shortly thereafter started projectile vomiting, thinking he had a possible obstruction we rushed him to the vet. The vet suggested an x-ray of his stomach to rule out an obstruction, the x-ray came back with no obstruction and the only finding being that the lining on his stomach wall was slightly thickened. At that time the vet suggested performing an exploratory laparotomy. The surgery was completed, no blockage was found and Cooper remained overnight for IV fluids. 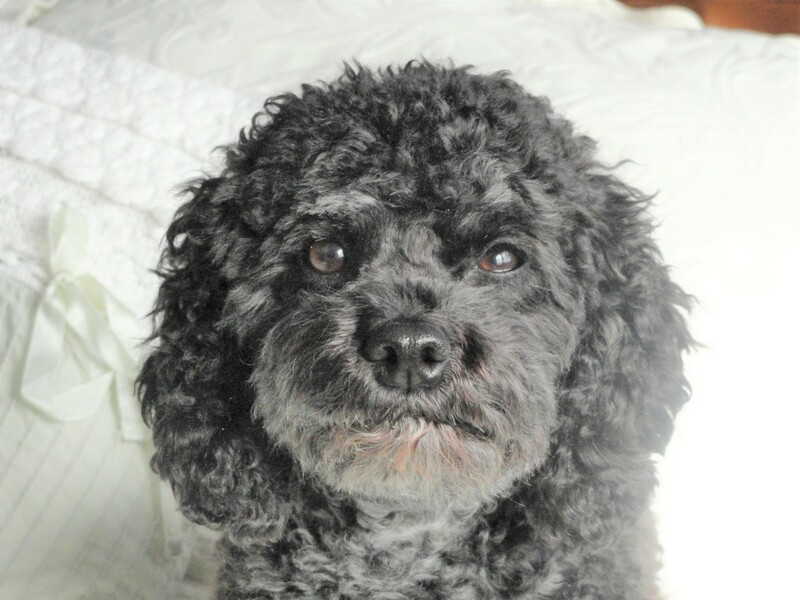 Subsequent to the surgery Cooper continued declining and his blood work showed that liver enzymes were elevated. His projectile vomiting continued along with the decreased appetite and he refused to eat all week. By this time Cooper had lost a total of 12 lbs, we were bringing him home nightly and driving him back to the vet each morning in order to administer IV fluids to keep him hydrated, along with his multiple injectable medications daily. By this time Cooper was becoming quite depressed. We had tried EVERYTHING to get him to eat and drink and he continued to refuse all food and water. He continued vomiting a mix between bile and saliva. We had him tested for Addison disease, Lyme and heartworm (he has been vaccinated and is on Heartworm preventative) all testing was negative. My vet recommended a specialist to see Cooper, additional bloodwork was completed along with an abdominal ultrasound and x-rays of the esophagus, lungs and chest, all of which were normal. By now it was Friday and Cooper was no better and we were preparing ourselves to spend the weekend at the Emergency Clinic with medical records in hand. I was referred to Dr. Scerba by a rescue associate and frantically called at 7:00 am on Friday morning crying and begging for someone to help me and help my dog. I received a call back from Sue and then Dr. Scerba and was immediately seen that day. Cooper vomited repeatedly in the waiting room and also her treatment room. Dr Scerba completed a very detailed exam and reviewed what medical records I provided. Dr Scerba then performed acupuncture on Cooper and started him on Stomach Harmonizing Formula and told us to let him rest and start him on Slippery Elm Cocktail. The vomiting stopped, he slept well until the next afternoon and the turn around started (within 12 hours). There was no going back, he started drinking small amounts of water and eating small amounts of baby food. We went back on the following Monday with a dog with a ferocious appetite who was eating and drinking and holding everything down. The treatment has continued and he is well and back to normal. Now we are working on centering him and what a change in Cooper! Also of note NO TRANQUILIZER or MUZZLE! Yes, this wonderful Holistic Vet is putting needles in my dog and he loves it and her. Our only problem is keeping him sitting up and not rolling onto his back because he is so happy to be there and absolutely loves the Acupuncture. I have learned a lot about this treatment and medicine. Dr. Scerba was very thorough and explained who Cooper is overall and what organs effect him and also provided fascinating information about his personality and various herbs and treatment's that can help further him become a very well rounded dog. Dr. Scerba has also taught us about diet and what foods to feed to maintain a physically and mentally healthy dog. For some this story may be very hard to believe and honestly unless we had experienced it personally we would have doubt also. Dr. Scerba saved our dog's life and we will forever be grateful to her. We also commend her on the care from her practice. We received follow up calls over the weekend from Sue and Dr. Scerba both. That truly meant the world to us because somebody understood how much we loved this dog and how critical his situation was. If you have an animal who is suffering for any reason, this is the place you should immediately head for treatment. We are believer's. It really works! Thanks Ladies!